It seems like just yesterday when your cat was a little ball of fluff, wobbly on short, unsteady legs, and mewing wildly at the first sight of that box of kitten kibble. Now, ten or fifteen years later, rather than chase anything that moves, your cat is more likely to spend much of his or her time in a sunny spot snoozing. 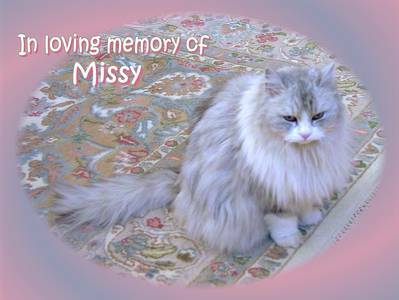 Still your best friend and closest companion after all these years, your aging cat needs a different level of care than he or she did as a kitten. Cats age in much the same way that people do. As your pet gets older, you might notice that he or she gets tired easily, exhibits some stiffness when moving around, or even shows signs of hearing loss or eyesight diminishing. Here are a few changes you might notice in your pet, and reasons for these changes. 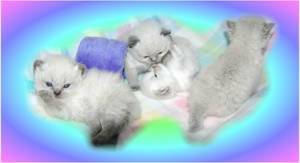 Older cats sometimes have a harder time dealing with changes in routine and excessive noise. They may miss the litter box more frequently as a result of stress. To counter these behavioral changes, make sure that your pet has a quiet, “safe” place to retreat in your home, and consider putting off getting a new pet unless your old one is still physically able to evade a younger animal. You can also talk to your veterinarian about medications to help your aging pet relax and cope with stress a little bit better. If you have a black cat, you may start to notice a few gray hairs, which is normal, as is some dulling or thinning of the coat. Dull coats can be treated with a fatty acid supplement, but if your pet’s fur changes seem drastic, check with a vet; this may be a sign of illness. Nails that split and shred easily are common in older cats, but are generally just a nuisance for the cat. You can help by clipping your cat’s nails more often, since he or she probably won’t visit the scratching post as frequently. Keep a close eye on your cat’s weight and adjust his or her diet when necessary. Unlike dogs and other animals, a cat’s caloric requirements don’t decrease with age. They will, however, sometimes have problems chewing or digesting their food and might require a special diet to meet their needs. Check with your vet to find out what kind of pet food is best for your cat. 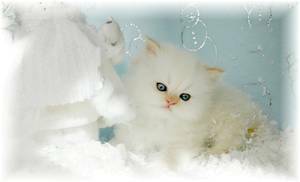 At Boutique Kittens we have had great success with Healthy Pet Net products which are Veterinarian formulated and recommended. Senior cats require a little bit of extra maintenance to ensure their health and well-being. Cats are still a very self-sufficient species, however, so just a little bit of extra attention goes a long way. Make sure to groom your cat more often as he or she ages. You’ll have more quality time together, and be able to check for unusual bumps, lumps or sore spots at the same time. 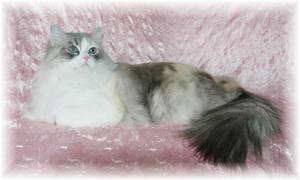 Extra grooming will also serve the added purpose of keeping hairball occurrences down, which tends to be more of a problem in older cats. Older cats generally need more in the way of dental care as they age. Regular toothbrushing and dental checkups can prevent dental diseases and potentially dangerous complications. Your cat may be more susceptible to constipation and hairball issues. Check with your vet about pet foods higher in moisture content and bulky solids that may keep your pet more hydrated and passing waste easier. Moist foods may also tempt you’re a pet with a waning appetite where dry foods won’t. Many pets, like people, are able to live out a full and satisfying life without any serious disease or illness. Older cats, however, do have a weaker immune system and can be more prone to illnesses. The list below has been provided, not to panic you, but to make you aware of some of these diseases and their symptoms so that you can be informed and better care for your pet. Cats with anemia often don’t get enough exercise and may have pale-colored gums. Anemia occurs when a cat has a low blood cell count, whether from blood loss or decreased red cell production. Speak to your vet about finding and treating the underlying cause of the anemia. You might notice that your cat doesn’t race up the stairs in quite the same way he or she used to, or is missing the litter box more often and sometimes altogether. Talk to your vet about a medication to relieve joint pain, but don’t give your cat aspirin or acetaminophen unless instructed. Unfortunately, cancer is a common ailment in older cats. Watch for weight loss, unusual bumps or sores, bleeding, or difficulty performing everyday functions. Many types of cancer in cats are benign, and some malignant cancer types can be treated. Hyperthyroidism is a condition that often targets middle- to old-aged cats and causes hyperactivity, increased appetite, vomiting, increased urination/drinking, and weight loss. Hyperthyroidism can be treated with medication, which suppresses symptoms, or surgery, if your cat is a good candidate. Speak to your vet to find out about treatment options. Inflammatory bowel disease occurs in many older pets. Your cat might vomit, have diarrhea, frequently avoid defecation in the litter box, and sometimes have bloody stool. Inflammatory bowel disease can be treated with medications, dietary changes, or dietary supplements. The best advice for any pet owner is to monitor your cat: watch for any unusual behaviors, occasionally check for lumps or sores, and keep an eye on your feline’s bathroom habits. If your cat shows signs of weight loss, listlessness, blood in the urine or stool, or any odd behaviors, make an appointment with your vet. While we can’t fit them with reading glasses and we definitely don’t want to give them an aspirin for their aching joints (cats are very sensitive to these types of medications, so keep them out of reach), there are things that we can do around the house to keep our senior cats more comfortable. Since your aging pet will probably be showing less of an inclination to move around, it’s up to you to make sure they stay mobile and don’t succumb to decreased muscle mass. Provide senior cat-friendly exercises, such as slower toys (like the traditional ball with a bell in it, rather than the speedy, remote-controlled mouse) and cat videos to keep your pet stimulated. A main-floor guest bedroom, inside your closet, or even behind the living room couch, make great “nests” for cats that need a quiet place to retreat. Stock your cat’s safe house with a wool blanket or pet bed, as older pets lose some of their ability to regulate their body temperatures and need the extra warmth. There are small modifications you can do around your home that will help a pet who is experiencing arthritis and extreme old age. Throw out the old litter boxes and replace them with low-sided ones that are easier to step into. If your pet has a favorite spot on the couch and just can’t get up there anymore, consider building or buying a simple ramp. While it might look silly, your cat will appreciate it – and you can always hide it in the closet when company comes over. Also, keep your pet’s food and water dishes in a convenient spot (preferably a main floor), so he or she doesn’t have to stray far from their favorite area. Like humans, cats are enjoying a longer life span than in years past: your pet may live to be fifteen to twenty years-old, or even longer. Knowing the best ways to care for an aging cat and some common illnesses that affect them will help you make your cat’s golden years as good as their kittenhood was. 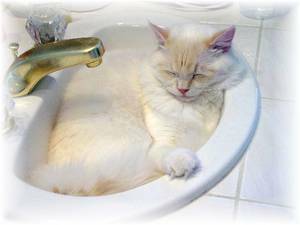 visit our Bathing Your Cat page. 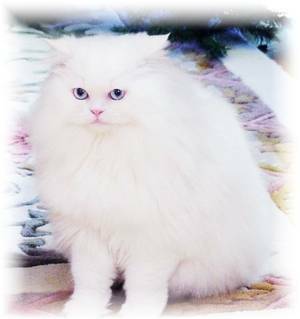 visit our Cat Grooming page.